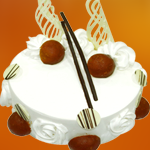 Terms & Conditions | Cake Shop Mumbai, Best Cake Shop Mumbai, Order Chocolate Cakes, Order Fruit Cakes, Cream Cakes in Mumbai, Deliver Cakes in Mumbai, Cakes for All, Cakes in Mumbai, Best Cake Shop in Mumbai, Cake Delivery all over Mumbai, Premium Cakes of Mumbai, India. 1. Hotel - Full address of the hotel. Room No. Telephone number of the hotel. · For any order modifications (billing, delivery address, delivery date etc. ), please contact our Customer Service Department at least two working days before the original delivery date. · We can deliver to the areas of your choice at Extra Delivery charges depending on the Loation, please contact our support to know the Delivery charges for Delivery in Non-Free Delivery Areas. · As our product have restricted shelf life and is also subject to melt we will call up the guest or the recipient you have chosen to gift to be available at the address to receive it. No request by the customer of giving surprises to the recipient will be accepted. · Since cakes are perishable goods and are made to order, we would not be able to provide any refunds. We will not be liable to pay any refunds for wrong addresses, recipient unavailable. Note - All the timings mentioned are in IST. We reserve the rights to change and amend the policies as it deem fit at any time without any notice..
www.hangoutcakes.com may at any time modify the terms and conditions ("Terms") of the Service without any prior notification to you and the revised version shall be available on the site. In the event of you not agreeing to the revised terms, then you should stop using the site. By continuous usage you are agreeing to the published Terms. The information contained on the website is provided by Aaro Foods Pvt. Ltd. in good faith. To the best of our knowledge, the information is accurate and current. However, Aaro Foods Pvt. Ltd. does not make any representation or warranty. We hereby expressly disclaim any implied warranties imputed by the laws of any jurisdiction. We consider ourselves and intend to be subject to the jurisdiction only of the courts of Mumbai, Maharashtra in INDIA. In event of any sytem error/malfunction we reserve the right to cancel the order with a notification to the client within 12 hours.